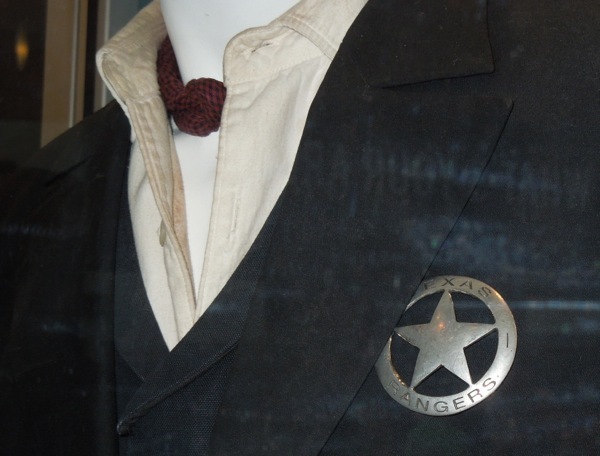 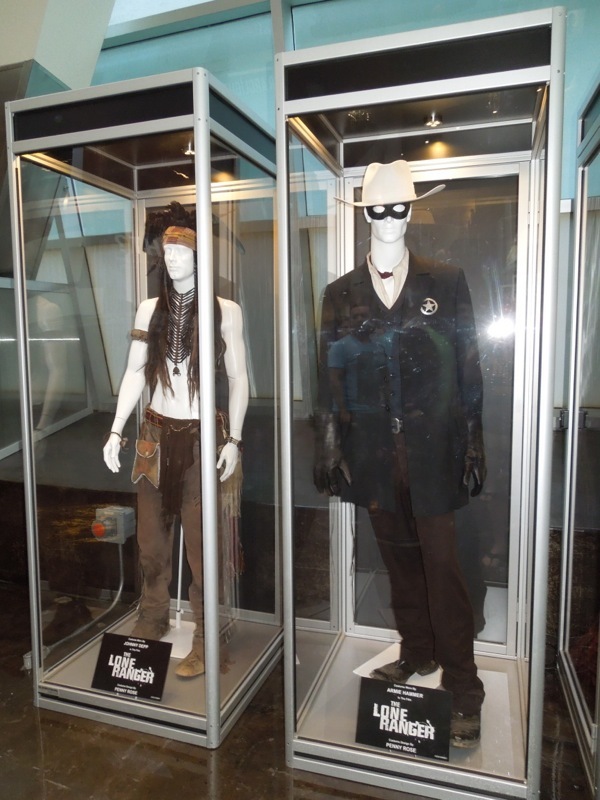 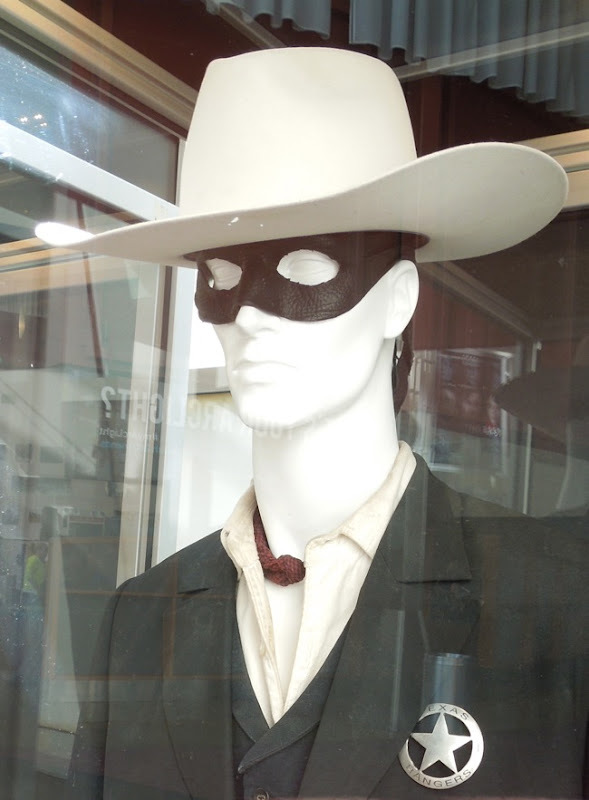 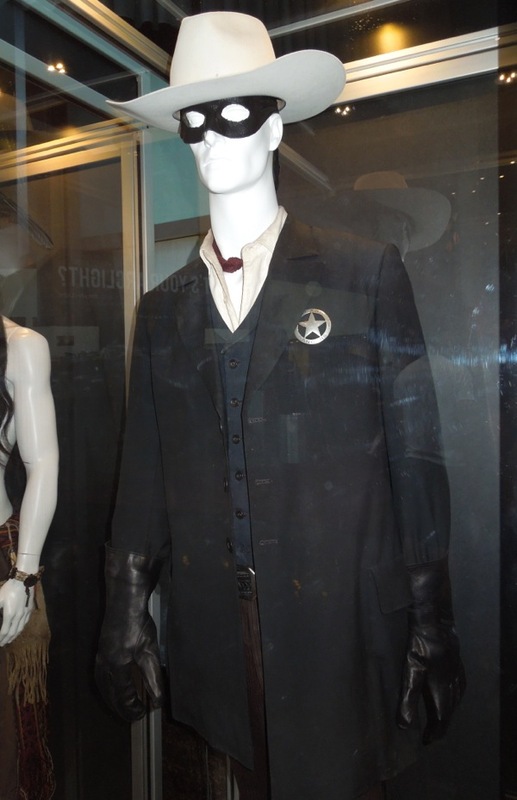 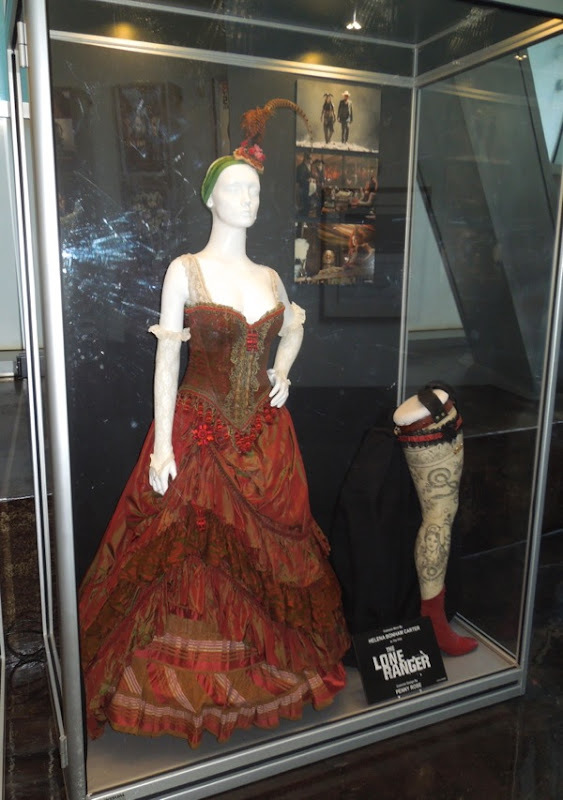 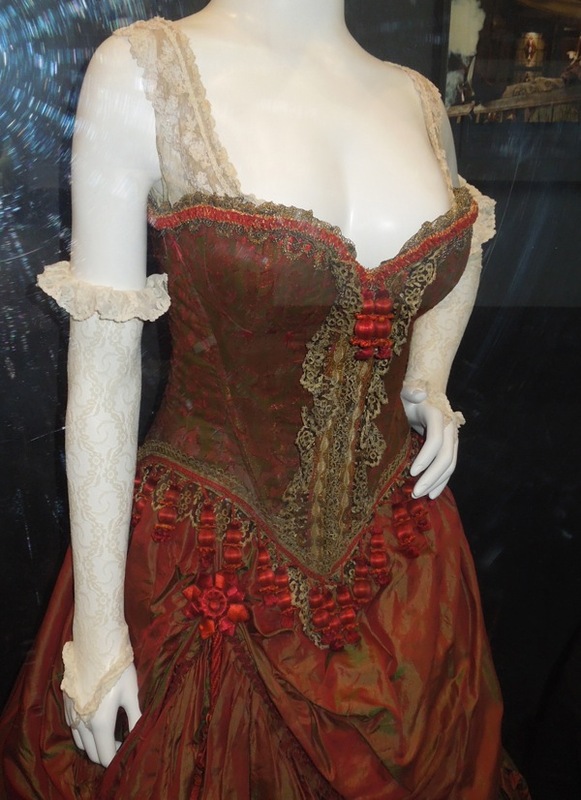 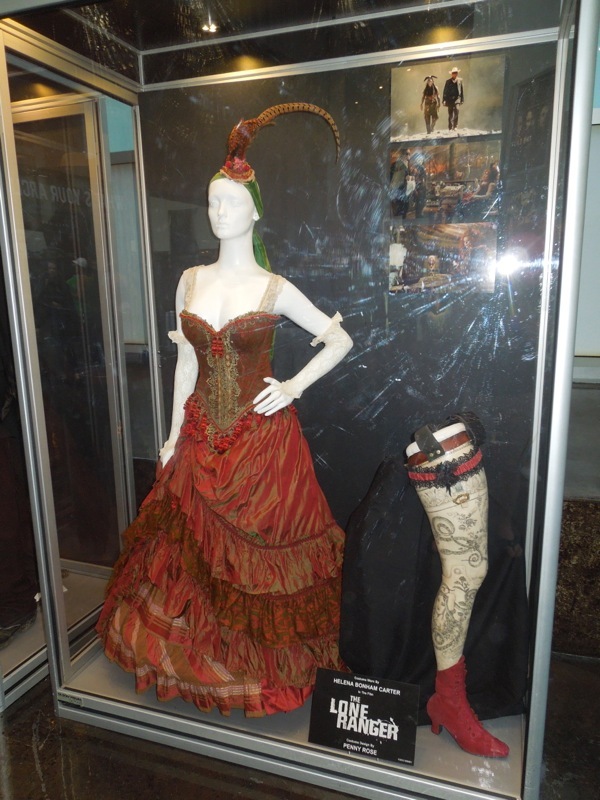 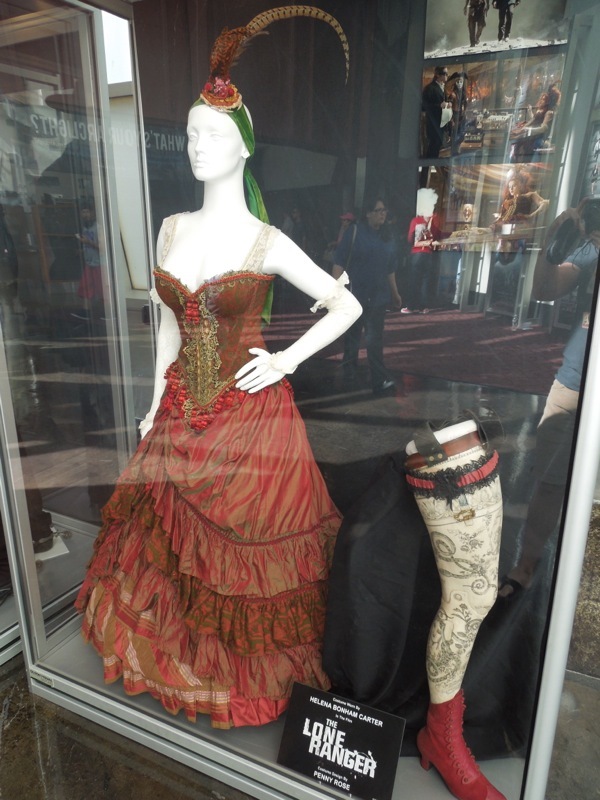 To help promote the release of Disney's remake of The Lone Ranger, the ArcLight Hollywood cinema had these three Western inspired costumes from the action-adventure on display on June 16, 2013. 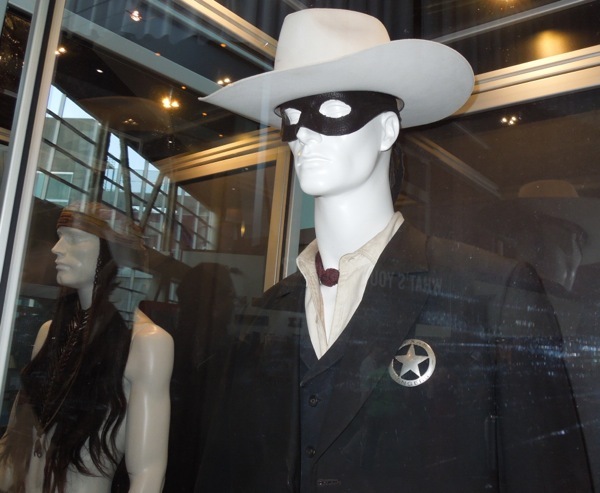 Penny Rose is responsible for updating the look of iconic 'Lone Ranger', his Native American companion 'Tonto' (played by Johnny Depp) and the inhabitants of America's Old West, like 'Red Harrington'. 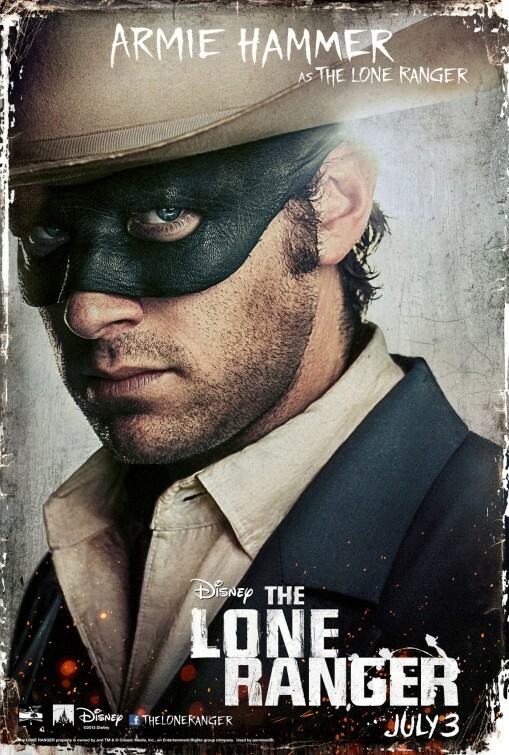 Armie Hammer, best known for playing both Winklevoss twins in The Social Network, puts on the outlaw mask and partners with Tonto to avenge his brother and fellow Texas Rangers in Gore Verbinski's 2013 update of the 1930's radio show character. 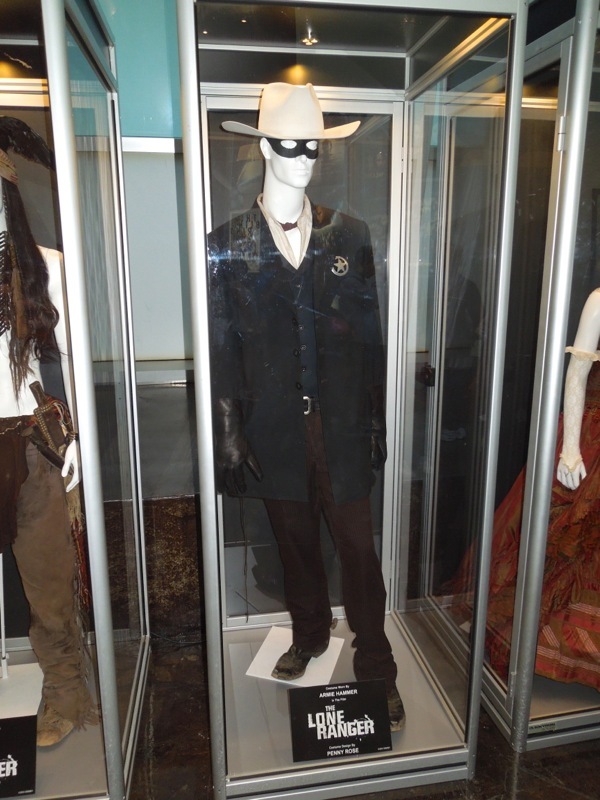 If you like this masked lawman outfit, be sure to get a closer look at Johnny Depp's Tonto costume from The Lone Ranger too. 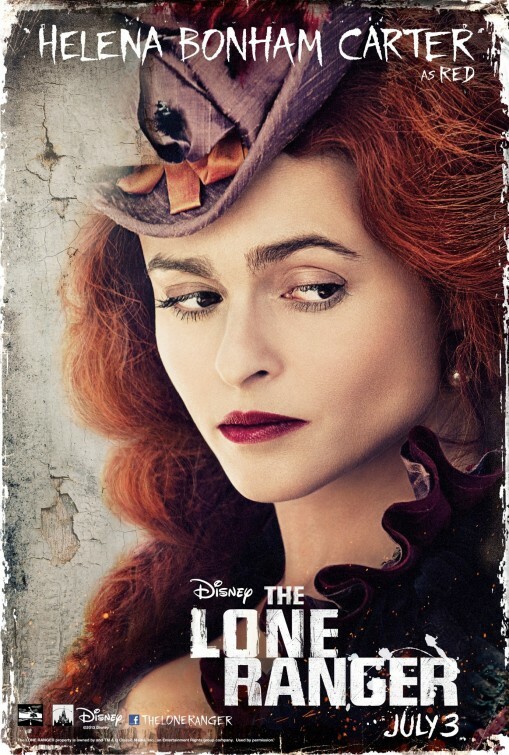 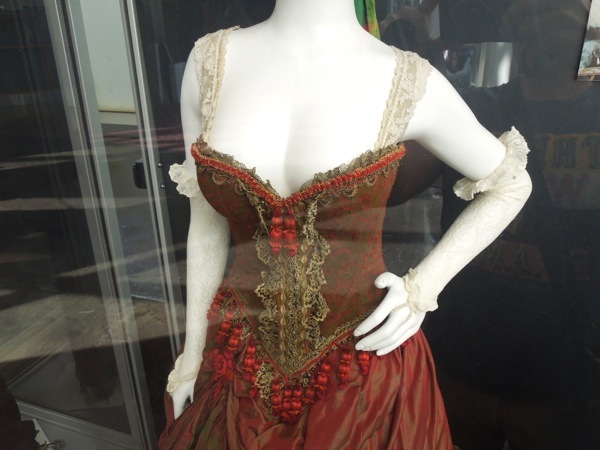 Meanwhile Helena Bonham Carter brings her kooky charms to the Old West in the form of red-haired brothel-owner 'Red Harrington', who you can see has a false leg which contains a shotgun in the movie. 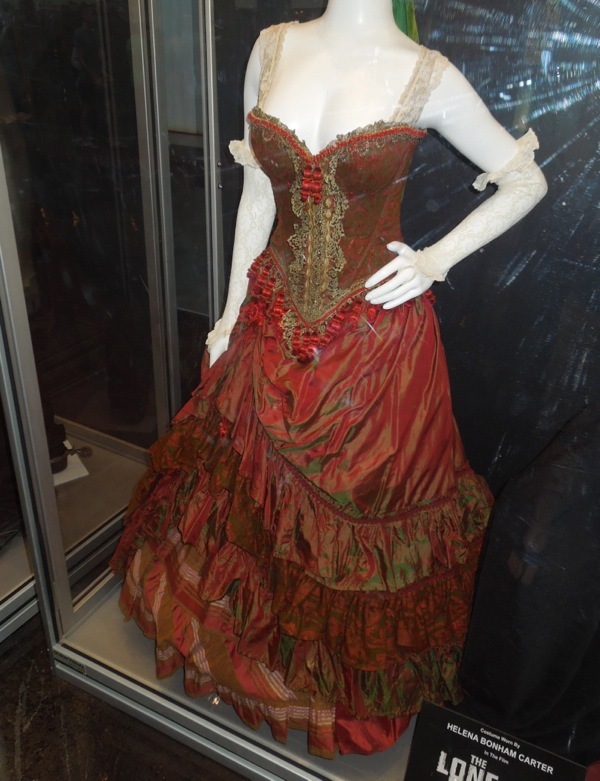 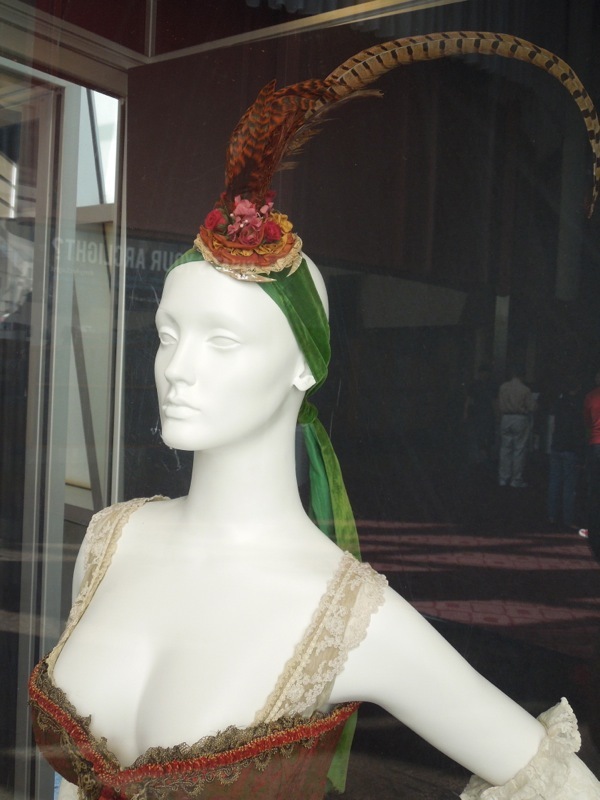 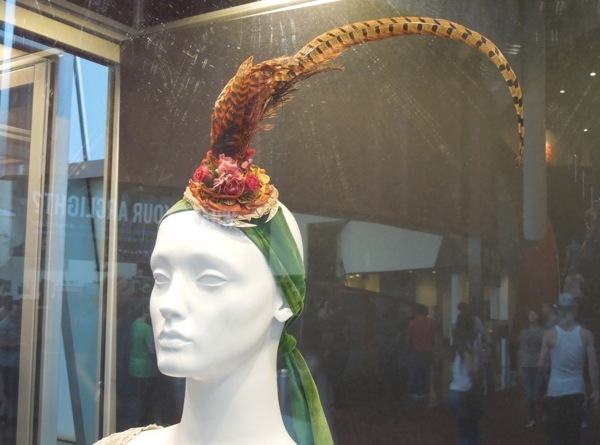 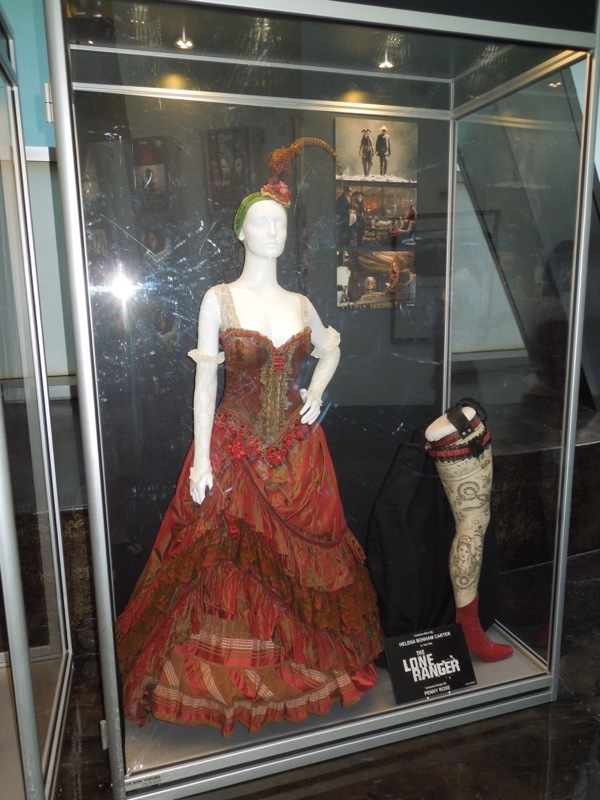 I'm sure costumers and fans of the actress alike will love these detail shots of one of her gowns and headdresses from the movie. 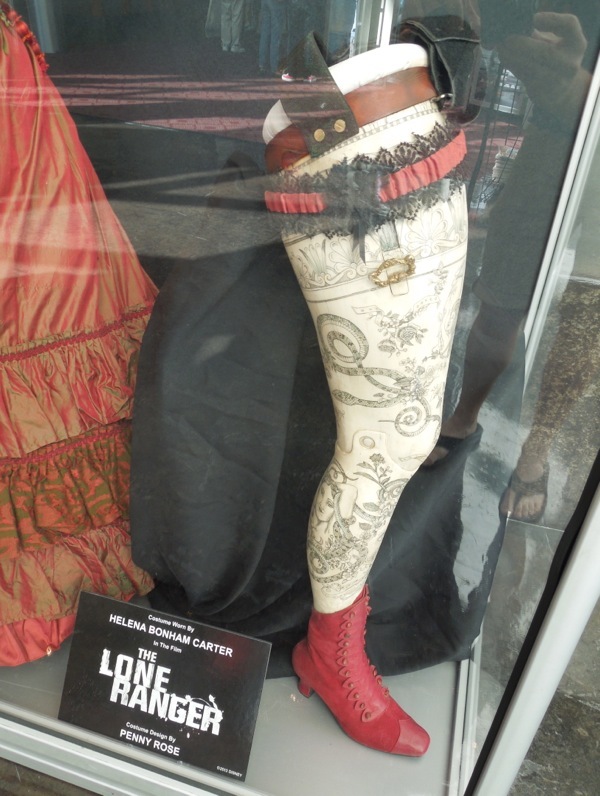 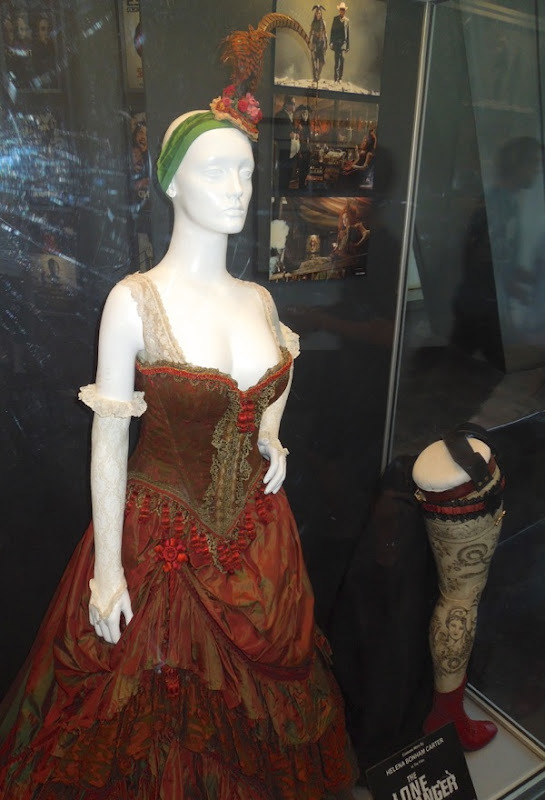 Plus it's interesting to see the detail on her false leg, which is not something you see every day as part of a costume exhibit. 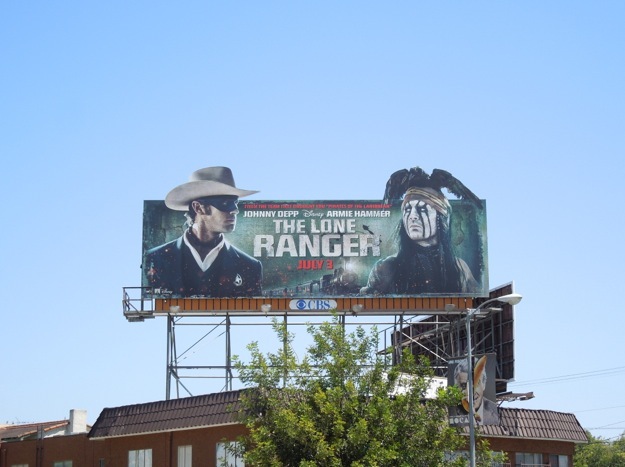 If you're a fan of the movie, be sure to also check out these cool movie billboards for The Lone Ranger around the streets of L.A.
Where can these Lone Ranger costumes be found? 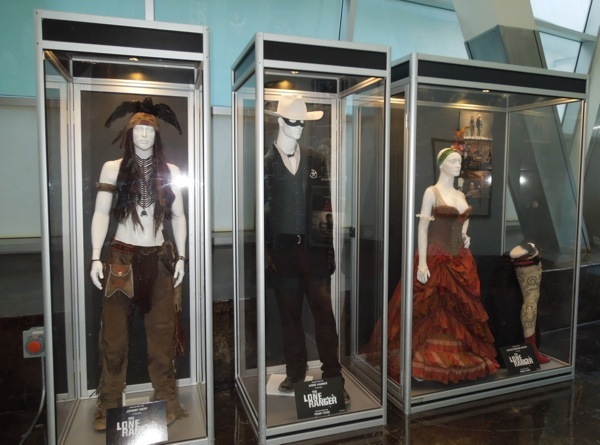 They were temporarily on display at ArcLight Hollywood cinema, but they are there no longer. 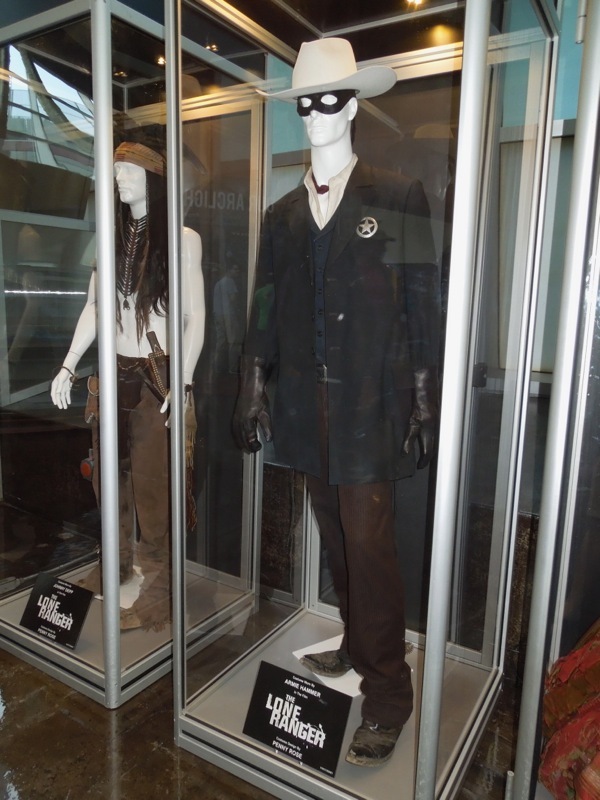 I suspect they are now in Disney Studios Archives.